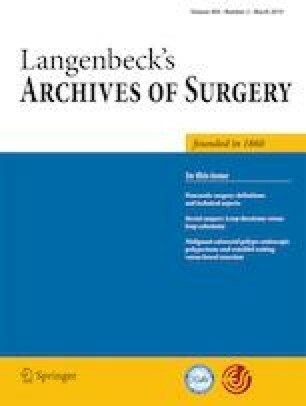 Iatrogenic injuries to vital structures of the liver and posthepatectomy liver failure are associated with high mortality. The current donor situation in Norway allows liver transplantation of patients beyond conventional criteria. From 1984 to 2017, a total of 1510 liver transplantations were performed. In this retrospective study, we report the results of 13 patients undergoing liver transplantation due to iatrogenic injuries to the liver vasculature or posthepatectomy liver failure. Twelve men and one woman with a median age of 55 years (range 22–69) were included. Seven patients underwent radical surgery for cancer prior to transplantation. The median follow-up time was 70.5 months (range 2.2–177). Three of the patients with malignant disease did not experience disease recurrence, whereas four patients had cancer recurrence and died 7, 24, 45, and 78 months after transplantation. Five of six patients with non-malignant disease fully recovered, but one patient died after 9 months due to infectious complications. Liver transplantation for liver failure due to portal vein and hepatic artery injury in patients with non-malignant disease seems justified. However, it may be questioned whether patients with malignant disease beyond established criteria should be offered liver transplantation. T.T: Study conception and design, acqusition of data, analysis and interpretetation of data and drafting of manuscript. J.M.S. : Acqusition of data and drafting of manuscript. K.J.L: Study conception and design, and critical revision of manuscript. P-D.L: Study conception and design, and critical revision of manuscript. E.M.AA: Study conception and design, analysis and interpretetation of data and drafting of manuscript. All authors have approved the final article. The study was approved by the institutional review board according to the general guidelines provided by the regional ethics committee (2015/1442). For this type of study formal consent is not required (retrospective study).